MH/MB is an electro-acoustic duo including Maddie Hewitt and Michael Bailey. 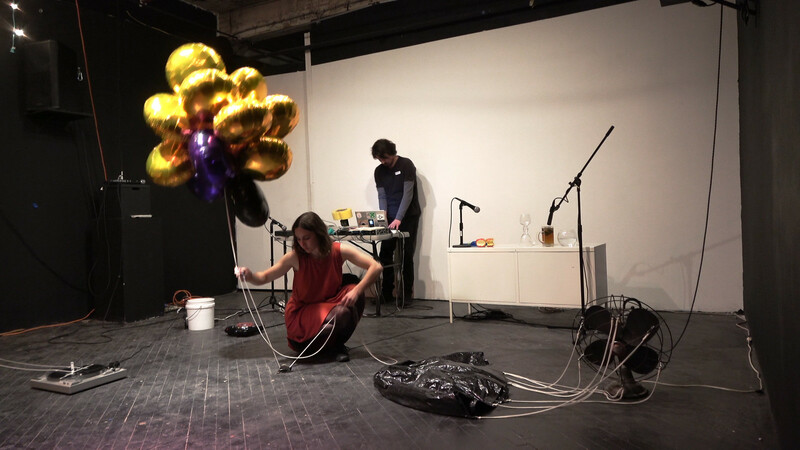 They use everyday objects and natural sounds with amplification and sound processing techniques to create free-form sound performances. Together they find expressivity in neglected materials and channel that potential into electrified communication. To hear MH/MB visit their Bandcamp. Image is a video still taken from their performance at Vox Populi in November 2018 recorded by Timothy Belknap.